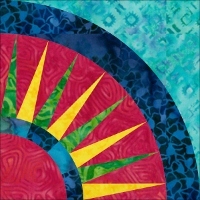 Love border strips? 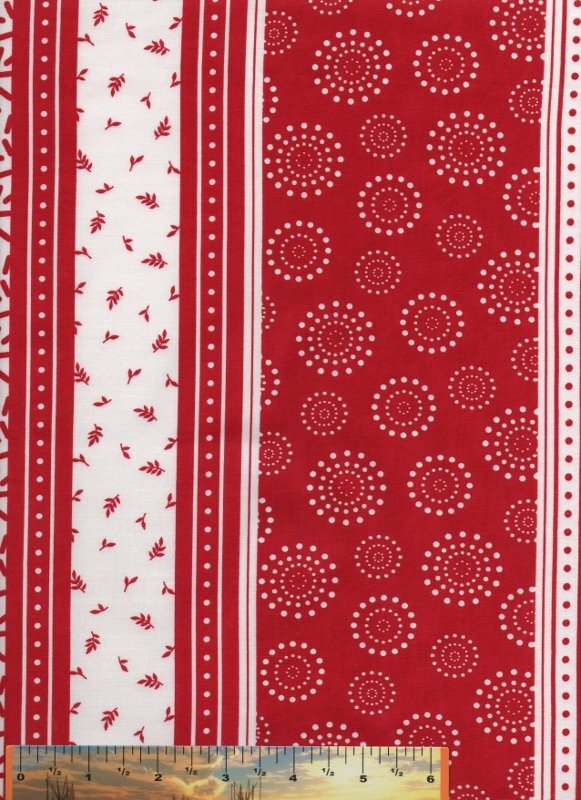 This red and white print from the Knick-Knack line can be used for so many different projects - perfect for redwork and holiday themes! 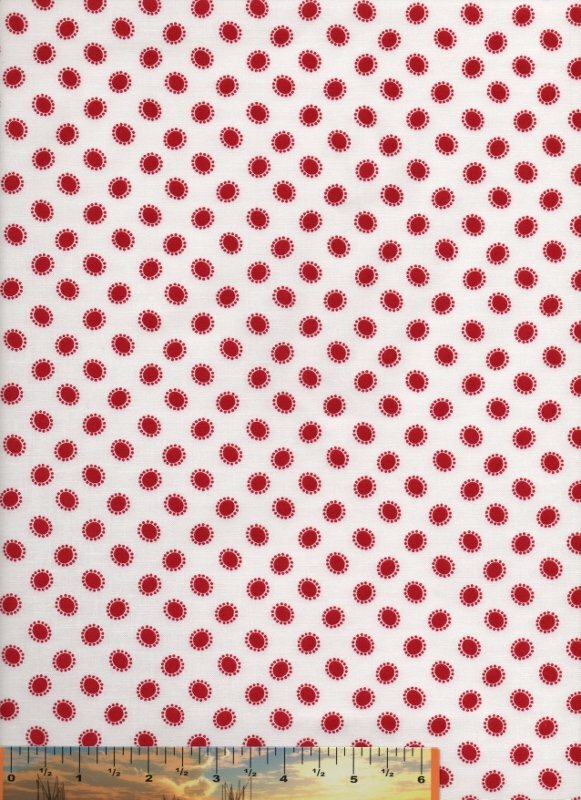 This great red-on-white Knick-Knack print from Troy Fabrics features medium red oval-shaped dots surrounded by tiny red dots. 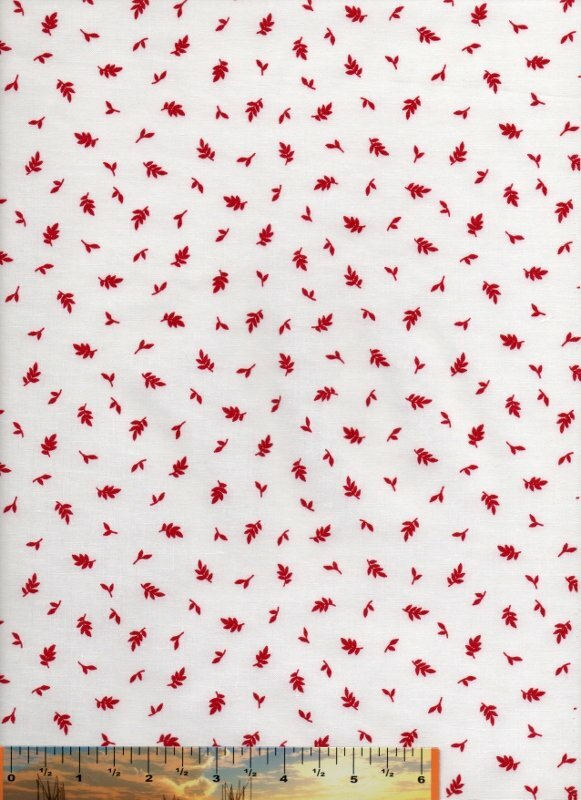 "Knick-Knack" tossed red leaves on a white background from Troy fabrics - wonderful redwork fabric! 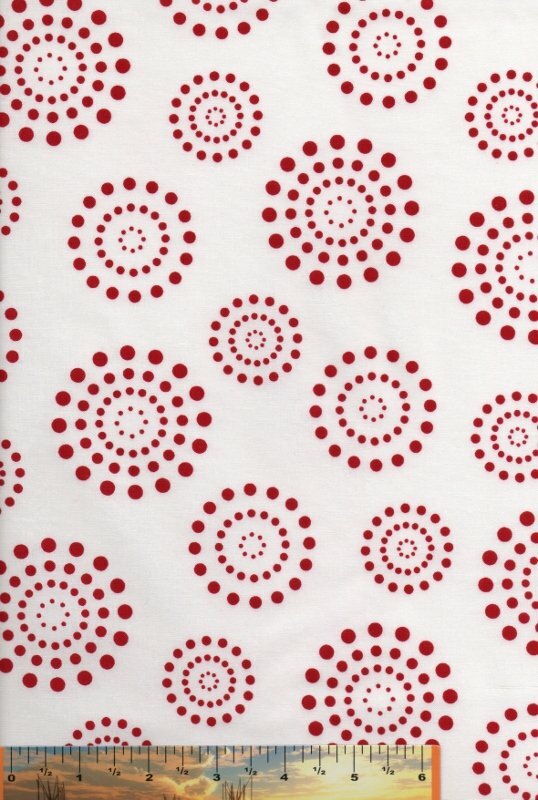 Knick-Knack red pick-up sticks on white from Troy Fabrics - a fun fabric that's perfect for redwork and holiday projects. 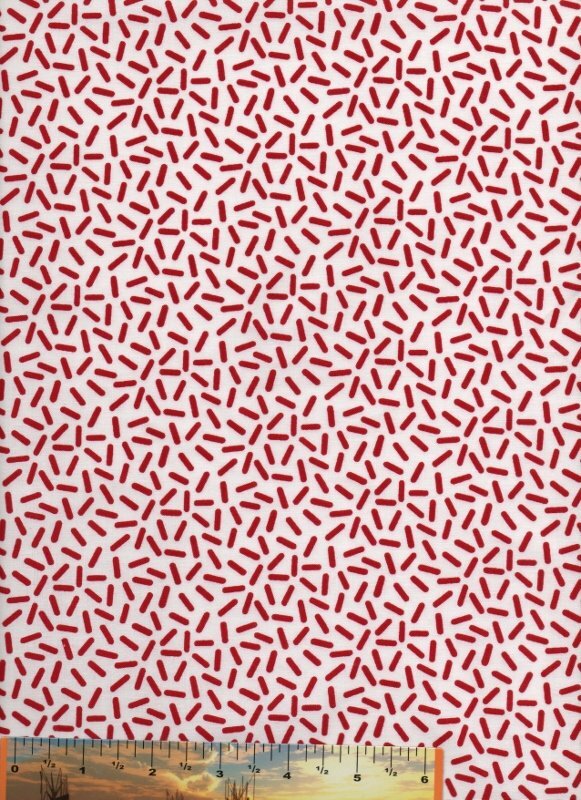 White pick-up sticks on red! 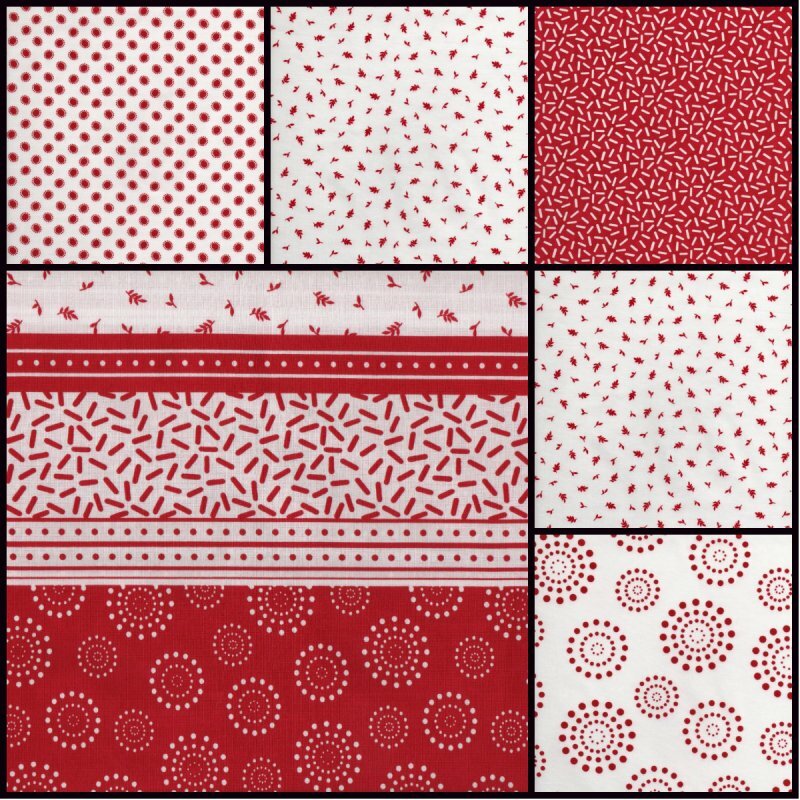 Part of the Knick-Knack red & white collection from Troy fabrics. 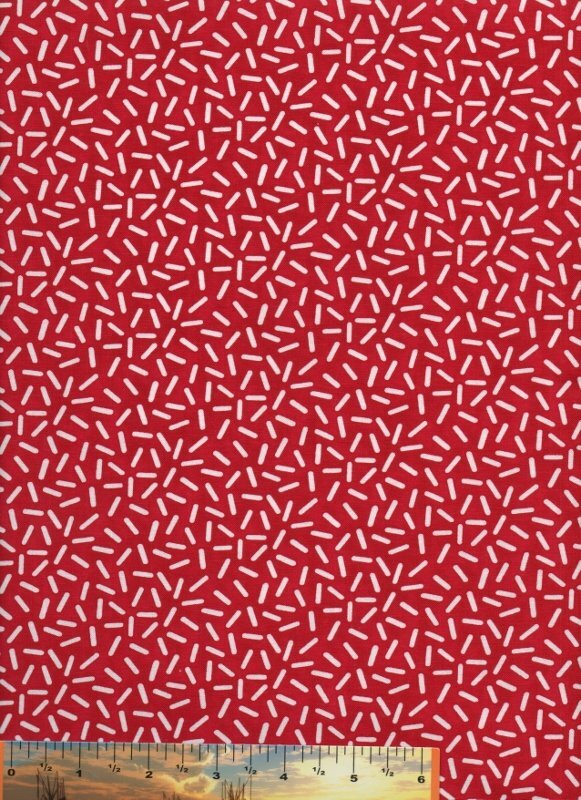 Perfect for redwork and holiday projects.